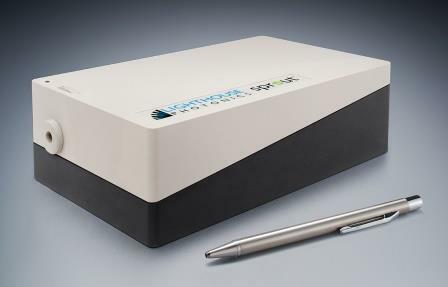 Sprout-G™ is a compact, diode-pumped solid-state (DPSS) laser providing up to 18 Watts continuous-wave (CW) power at 532nm in a near-perfect TEM00 mode with extremely low optical noise and excellent long-term stability. 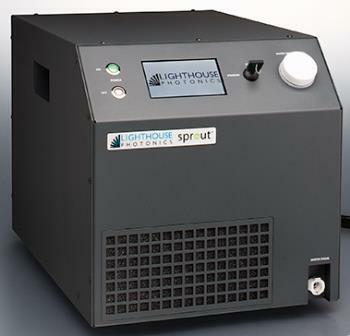 Sprout™ is truly a next-generation laser designed and manufactured using many years of experience to provide a sealed, turn-key source of collimated green light with high spectral purity. There are 7 versions available ranging from 5 Watts to 18 Watts. 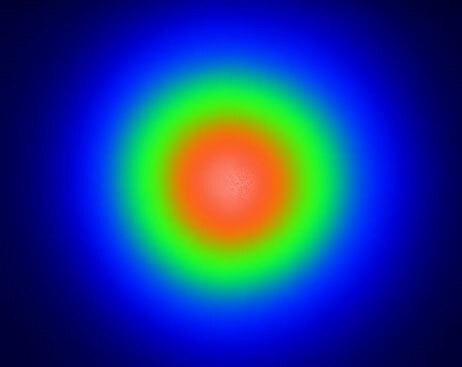 The laser head is a monolithic 3-dimensional design for ruggedness and compactness. 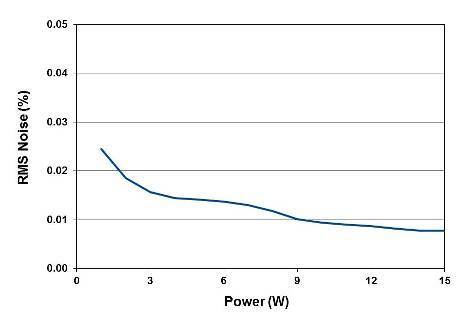 The fiber-coupled pump diode package, contained in the power supply, has a typical mean time to failure (MTTF) of more than 50,000 hours to minimize cost-of-ownership. 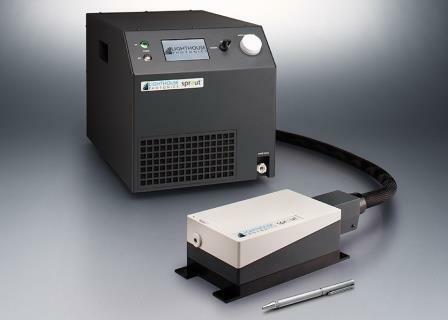 The power supply also contains an integrated thermoelectrically- cooled (TEC) chiller. This purpose-built chiller is engineered to provide excellent reliability and reduced overall system footprint. Additional features of Sprout‐G™ include automatic laser power control and USB, RS‐232 and Ethernet interfaces for external monitoring, control and remote service. Excellent value. Contact Us today for a competitive quotation.